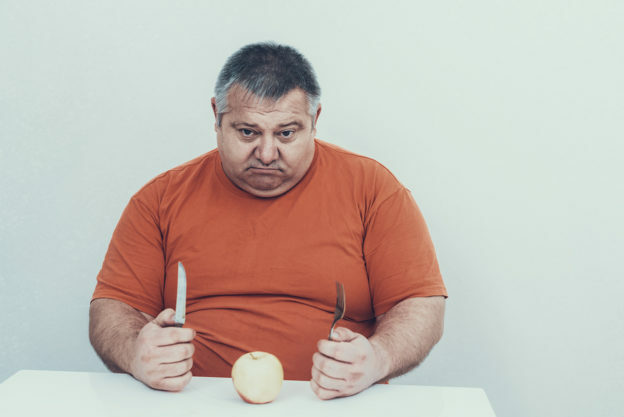 So today I want to dig a little deeper into something that may be sabotaging your weight loss efforts… and share some of the strategies I use in my own practice to help patients demolish deadly central obesity. And with great success! These are every-day pollutants like pesticides, phthalates, bisphenol A (BPA) and other toxic compounds that bind to your fat cells. They literally increase the size and number of fat cells in your body. So you just keep growing bigger and bigger. This makes it nearly impossible to lose weight. Worse, as these fat-producers build up inside of your body over the years they create the perfect storm for insulin resistance, diabetes and obesity. And here’s the cruel reality of it. Did you eat non-organic fruits or vegetables today? Farm-raised fish? Meat from commercially raised animals? Do you drink water and other beverages from plastic bottles or cups? Does some of the food you eat come in a tin can, plastic wrap or plastic container? When you shower do you lather up with soap and wash your hair… then put on deodorant, lotion, cologne and other personal hygiene products? Are you using scented air fresheners, laundry detergent, furniture polish and other household cleaning products to make your home smell good? If you’ve answered “yes” to any of these questions, it means you’ve been dousing your body – inside and out – with all sorts of fat-promoting obesogens. And you aren’t going to get them out of your life unless you make some serious changes. It takes a little work. But in the end it is worth the effort. And I have quite a few recommendations to help get you started. Enjoy plenty of fresh, organic fruits and vegetables. Use the Environmental Working Group’s “Dirty Dozen” list to check out which commercial fruits and vegetables are laced with the most pesticides and chemicals. All items on this list should always be bought organic. Ditch the plastics. Refuse to purchase foods and beverages that come in plastic containers or plastic wrap. Get rid of your plastic storage containers, cups and dinnerware. Plastic blenders, juicers and coffeemakers are risky, too. You are much better off using products made with glass and stainless steel. Stay away from scented products. A lot of grooming products, perfumes, air fresheners, laundry soap and other items smell really good. This is an indication that they contain phthalates, which are often hidden under the guise of “parfum” or “fragrance”. Detoxify your fat cells. Go to work immediately to detoxify your fat cells so you can clear out toxins and shrink them more quickly. It’s a lot easier than you might think! Take 100-300 mg of chlorophyll three times daily. It binds with a variety of toxic substance and removes them from your body with your bowel movements. EGCG, the main compound in green tea, is also a powerful weapon when it comes to relieving your toxic load. Look for one that contains EGCG and standardized to 60% polyphenols. For the most impact, set a goal of 240 to 320 mg of polyphenols every day. 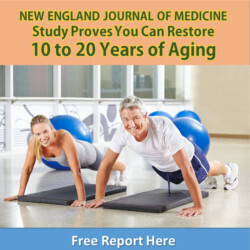 Boost levels of your “master antioxidant”, glutathione. People who show high levels of pollutants in their bodies often have depleted stores of this antioxidant. The best way to boost glutathione production in your body is to take 500 mg of N-acetylcysteine (NAC) daily. If you have access to a sauna, take advantage of it. Sweating helps your body get rid of toxins. And don’t forget to keep up with the exercise! Holtcamp W. Obesogens: An Environmental Link to Obesity. Environ Health Perspect. 2012 Feb;120(2):a62–a68. Darbre PD. 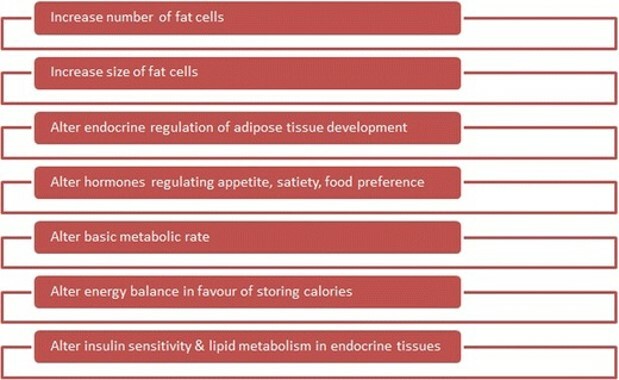 Endocrine Disruptors and Obesity. Curr Obes Rep. 2017; 6(1): 18–27. Morita K, et al. Chlorophyll derived from Chlorella inhibits dioxin absorption from the gastrointestinal tract and accelerates dioxin excretion in rats. Environ Health Perspect. 2001 Mar;109(3):289-94. Koo SI, et al. Green Tea as Inhibitor of the Intestinal Absorption of Lipids: Potential Mechanism for its Lipid-Lowering Effect. J Nutr Biochem. 2007 Mar; 18(3): 179–183. Lee DH, et al. Hormesis and public health: can glutathione depletion and mitochondrial dysfunction due to very low-dose chronic exposure to persistent organic pollutants be mitigated? J Epidemiol Community Health. 2015 Mar;69(3):294-300.